Updates on the status of the route you can see here. 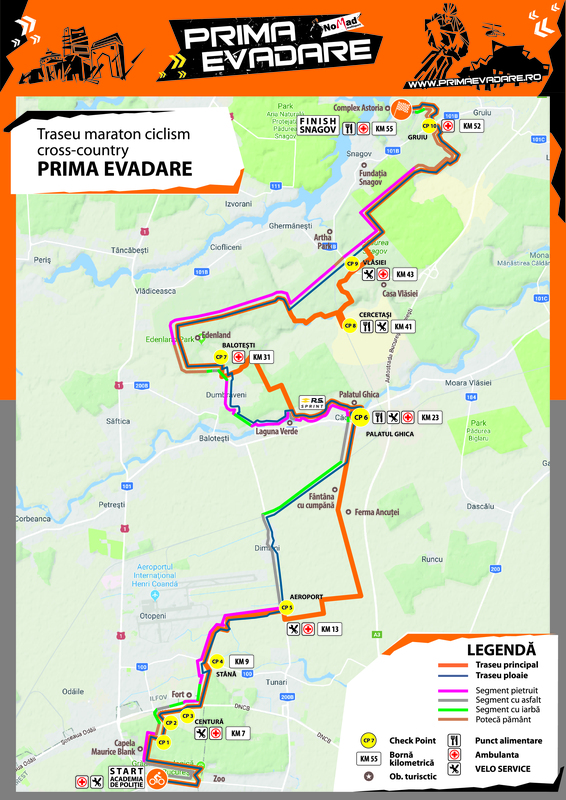 Route of 2018 It will be a combination between classic and variant almost completely paved for bad weather. This year we continue working on them and cobblestone paths both the classical and in the rain so we have a permanent route, all year round, with directional markings, terminal distance and names thematic segments. 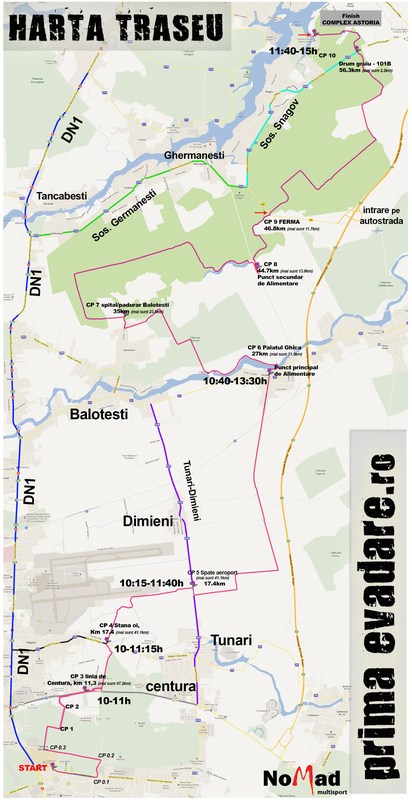 description of 2017 route prepared for bad weather so if you go out to choose alternatives portrivite. 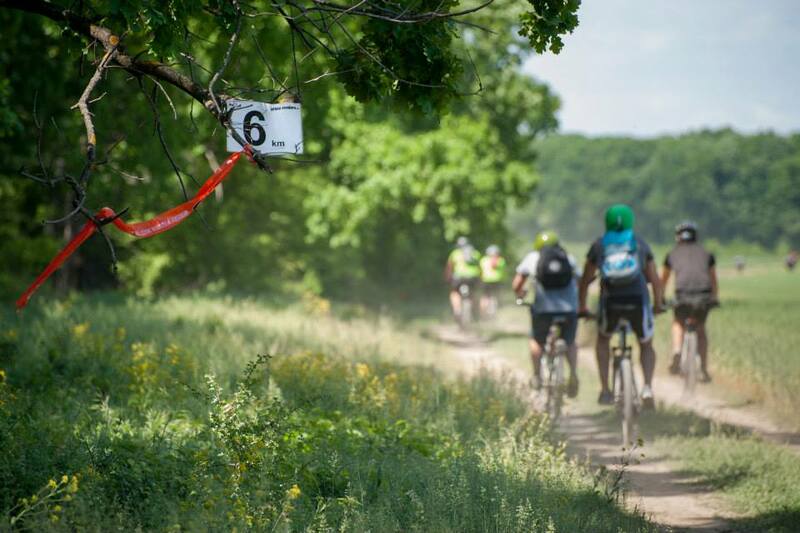 The start of the contest in Bucharest and gives a distance of approximately 55km be completed in areas of ancient forests of Vlăsiei, pajişti, fields, lakes, villages and historical sites, arrival being on Lake Snagov. The trail is marked and accessible, before the competition we recommend training – at least 2 outputs longer on rough terrain (forest roads or field). As every year, Sports Club Nomad Multisport your organization on recognition, a good opportunity for riding and socializing. The Press Evadare I have a double standard marking: Belt and pink arrows and X's. Banda “CST” about trees confirm route, is made less where you do not have other options and immediately after the false branch. Banda Rosu / alb marked change of direction and is located on the side that will be changing direction. Arrow indicates the direction, and X-The wrong way and smoking. If you turn to the last marking error. Note how many bookmarks can be stolen once. 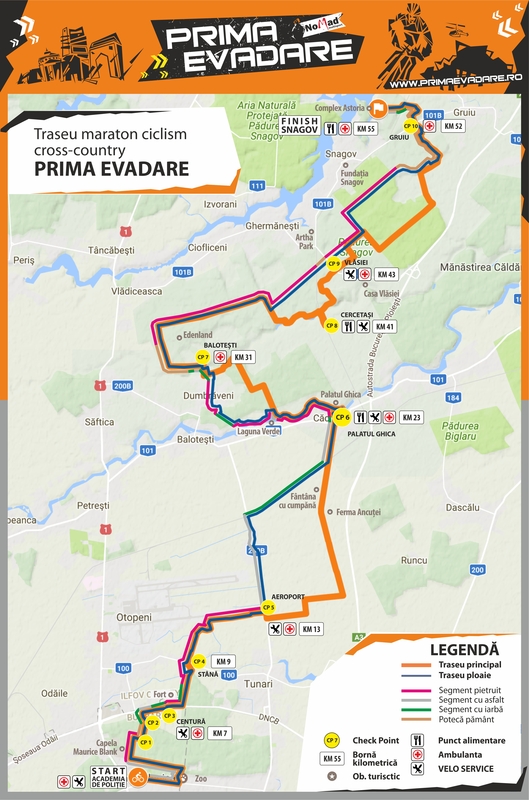 Spectators, family and friends can expect some intersections with public roads: Start, CP1, CP3, CP4, CP5, CP6, CP 7, Arrival – Complex Astoria.